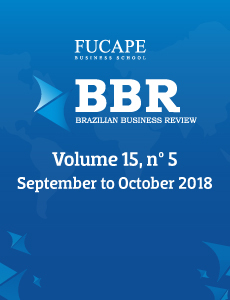 This article aims to measure the effect of the audit firm rotation on the earnings quality of Brazilian public companies listed on BM&FBOVESPA in the period from 2008 to 2015. We use discretionary accruals as a measure of earnings quality, using two approaches: earnings management and the estimation errors. Results show that audit firm rotation reduced the volume of discretionary accruals and, thus, increases the earnings quality, when these are measured from the perspective of earnings management. However, we do not observe the effect of audit firm rotation on earnings quality when the discretionary accruals are measured from the perspective of accounting estimation errors. The results also show that companies that rotate audit firms voluntarily have greater discretionary accruals and, consequently, lower earnings quality.